The children watched a film clip about Smartie the Penguin who learns how we can make the internet a kinder place. https://www.youtube.com/watch?v=2JSHCGcsnrI We discussed how we are all different and how we should celebrate this rather than making unkind comments on the internet. Class 2 then joined the Share a heart campaign by Making hearts out of our PE equipment and then the children lay down on the floor to make one large heart. Unfortunately we couldn't capture the whole heart even though Mrs Lee climbed to the top of the wall bars! See photographs below of our hearts and Share a heart pledges. Today the children have been finding out information about dinosaurs, for our databases. We talked about using safe search when looking on the internet and also that we need to check the information on more than one site before we accept it as true. 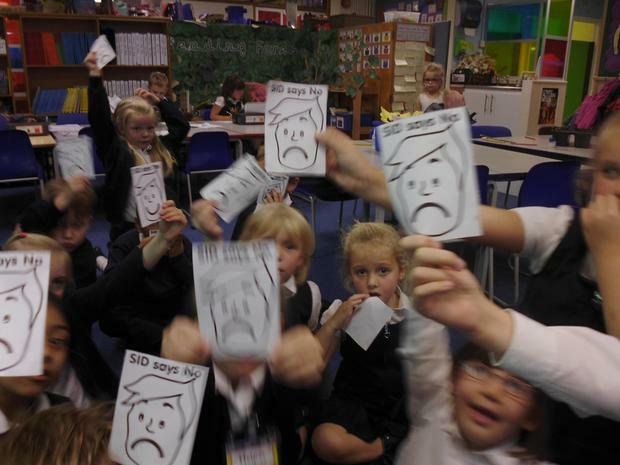 This afternoon Class 2 looked at who is an online stranger. We watched a clip about Lee and Kim playing a game called Animal Magic and how they found out about strangers. 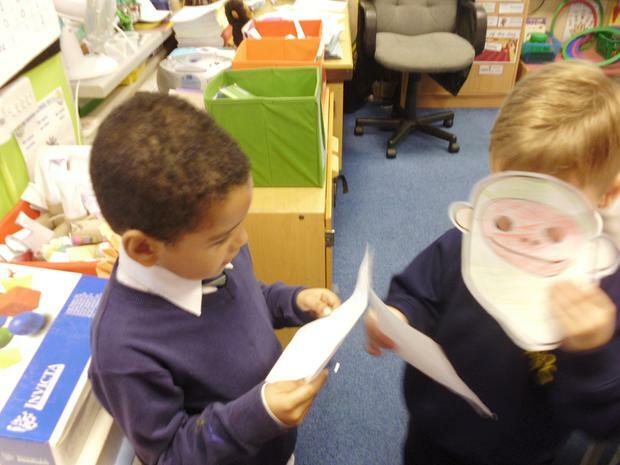 The children then made up a profile of a boy or girl that they then pretended to be. 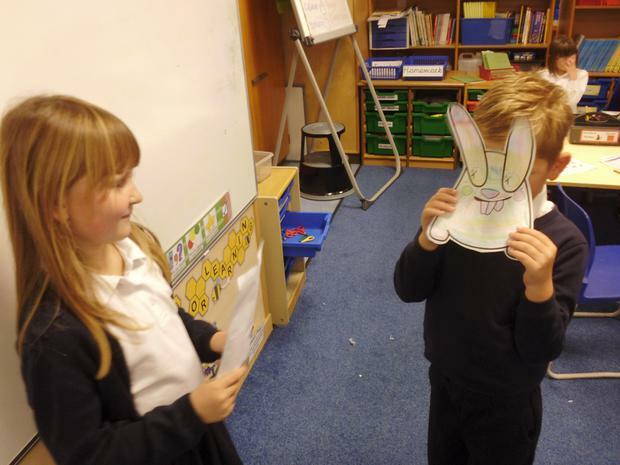 They worked in pairs and whilst one child hid behind an animal mask the other child asked questions and tried to get them to reveal personal information about their new profile. 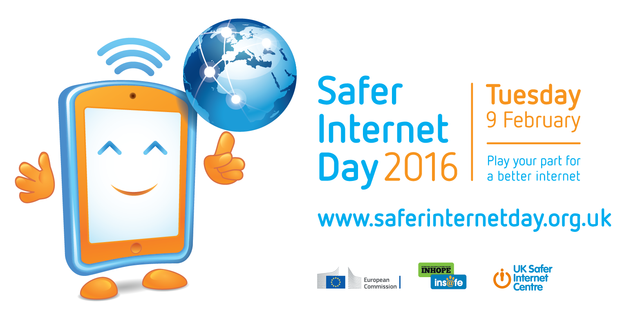 This showed the children that when they are online it is like talking to someone wearing a mask and we do not know who they really are. 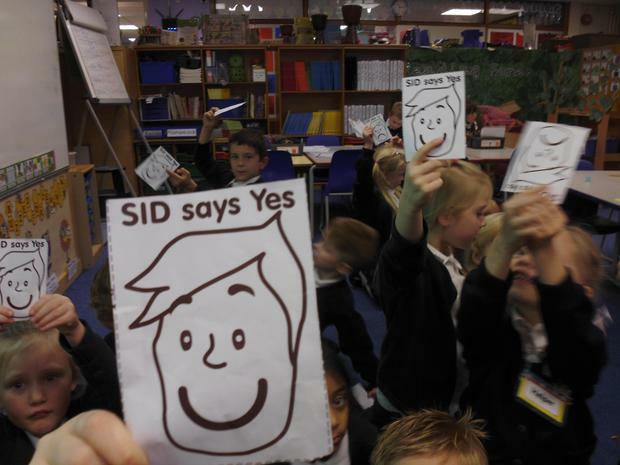 The children also learned, with the help of Super Hero SID, what information was personal information and took part in a quiz to identify this information.